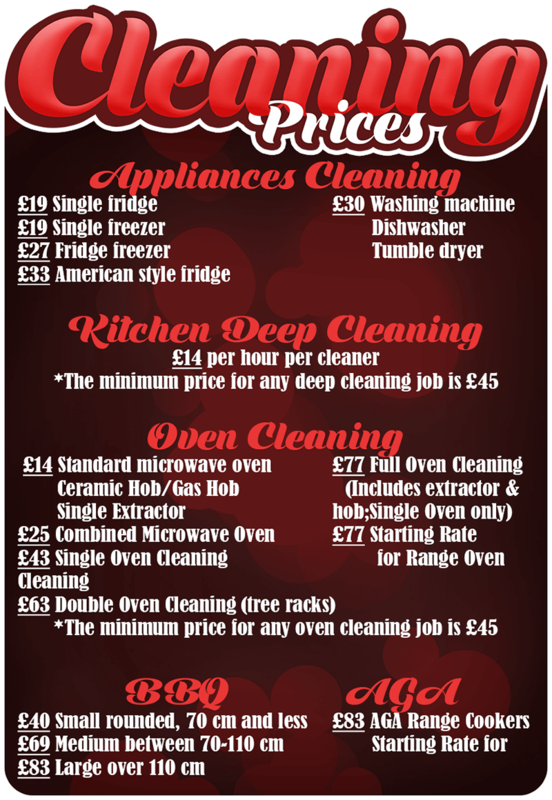 At The Oven Cleaning Company, we offer to our clients the best value for their money. Our sanitation rates are cost effective and can fit into narrow budgets. We form our prices with the aid of a special cost calculator that permits us to take into consideration the one of kind specifications of each job. This way, we are able to assist our clients without lowering the quality of our oven cleaning services in Kensington. The list below will introduce to you our starting rates for several types of sanitation options. We also offer amazing discounts and package deals that can lower furthermore your sanitation costs. You can learn more about our promotions and oven cleaning services in Kensington by contacting our customer consultants at a time that best suits you. Once you get in touch with us, do not forget to request a personalised, free and final quote.